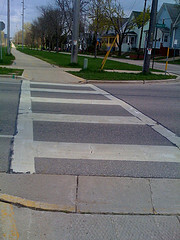 Why can’t you just visualize a crosswalk, then step into traffic? “I know a woman who wants to get married and have babies, so she’s set up a nursery in her house, and spends time sitting in it reading baby books, as if she is reading to an actual baby. I had to admit, she really was visualizing the outcome she wanted. She really was living as if her outcome was true, and had already happened. She had aligned her mind to “attraction,” by making the space for what she wanted in her life. But the fact is, I (and my client) both found her behavior sort of creepy. As a 1-on-1 coach, workshop leader, and writer, I help people care for their hearts so they are able to take the daily, excellent actions that move them toward the life they long for.